Level 5 will soon be bringing its originally cancelled horror RPG Ushiro to Nintendo Switch, it has been revealed. 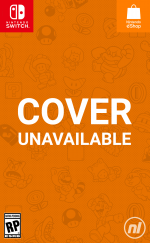 The studio has been teasing the return of a cancelled game for a few weeks now, with fans left speculating over what it could possibly be, but the latest issue of Famitsu has finally spilled the beans. The title is a turn-based RPG that was originally intended for release on PlayStation Portable, before ultimately being cancelled. 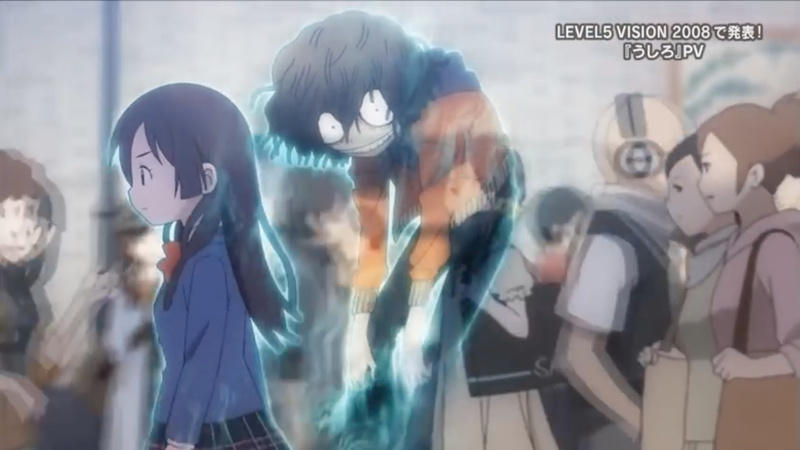 The spooky adventure sees the young protagonist interacting with ghosts in a modern Japanese setting (with real-life locations like the famous Shibuya crossing being replicated), and anime-style art is seen throughout. If you'd like to get a quick taste of what the game will offer, feel free to check out this trailer that was released for the original game in 2008. Naturally, details are still rather slim for this new Switch version of the game, and we might have to wait a little while for its eventual release. Still, this is certainly an intriguing project from the minds behind Professor Layton and Yo-kai Watch. What are your thoughts on this one? Interested from what you've seen so far? Tell us below. Very interesting! Been playing my PSP for a long time and never heard of this before. Looks really cool! I like the horror aspect of it a lot and have high hopes! Yesssss, exactly what I was hoping for! I would like to see it on Switch. Looks great hope it get released soon and get a western localization sooner! (just english subtitles is fine). First I've heard of this game as I never owned a PSP or paid too much attention to it but this looks super cool. Really keen to see how it turns out on the Switch. Will have to keep this on my radar. Glad to see so much support from Level 5! It's cheap and effective if we can wheel out some failed game we were working on some years ago. J-horror always creeps me out. Count me in! Haha I knew It! I saw the previous article last night. Check google images for unreleased level 5 games this came as a PSP game trailer on Youtube. I thought "Yep I bet this is it!" The graphics really seem similar to a lot of other games that have come out on the Switch. Looks great, the artstyle is as Level-5-y as usual. Will have this on my radar. Traditional JRPG fighting with horror elements? Noice! Hopefully it comes with a physical edition. So it's basically Yokai Watch without the Pokemen. Looks like fun! I'd get it! @RickD it isn't really a failed game if it was never released is it? Seems a little too steeped in animé-tropes for my tastes, but it might yet be an interesting game for other reasons. And Level-5 exclusives are nothing to scoff at! YES, more actually good horrorgames for the Switch - the need is great, the only one I recall is Layers of Fear, and I already owned that for PC. @alasdair91 well, the footage is from the 2008, of course it looks like it as well. Seems nice... hope for a western release. I would need it to be translated for me to be fully on board but it looks interesting enough to get my attention. Looks super cool! It looked great even on PSP, so I'm excited to see how it turns out on Switch. Given their gorgeous work with Yo-Kai Watch and Inazuma, we should be in for a graphically beautiful game. Not to mention that the gameplay looks super fun too. I'm always down for a traditional turn based JRPG. The horror elements seem cool too! um.. i think the trailer is from the psp.. so yeah. Wait, Level-5 does horror stuff now? That looks neat. Hopefully they decide to localize it. This Oshiro seems to be completely different, though. I would expect to find an JRPG here, rather than a horror game. @Octane I was thinking the same. Everything about it screams "early Yokai Watch prototype"
This isn’t Ni No Kuni for Switch. I'm intrigued by this one and will be keeping an eye on it. The Level-5 titles that I've played (mainly Layton and Yo-Kai Watch) have yet to let me down. Heard about this game a long time ago glad to see companies not give up on canceled projects. Let's hope Capcom gets the hint. @the_beaver oh right, I totally forgot they were on Switch too! I've played the first one on PC already, but I could consider getting to the second one as well. @alasdair91 That gameplay is from PSP and 2008. What do you expect? Surprised level5 still hasn't announced a switch port of No No Kuni. Seems like a no-brainer. Woah! This looks very interesting! I don't see how horror and turn based RPG works. It isn't going to be all that scary. But I like the aesthetic. If they bring up graphics to not be so blocky, I'd probably like to try it. Level 5 games are always enjoyable. Hope this make it to the west at some point. I can't believe I was actually right. I didn't think it would be, but it was really the only option. I'm stoked that it's getting another chance, as it looks really spooky and interesting. Seems like a great fit for Switch! Wow, how did I miss this 10 years ago? We don't have enough horror RPG's. I'm really glad this game is going to come out now, hopefully we see it here in the west sooner rather than later. @RickD harsh but who knows, not every game is able to see the light of day. Maybe they were able to take the extra time and apply some polish. Ni No Kuni is far from a no-brainer; that game was eye-popping on the PS3, I expect it would be a huge job to get it onto the Switch. Sure would love it though. It looks so Level-5. And so... not Level-5. Or... Go on! Tell me all about it, spoiler free. WOOT!... first Yukai watch on Switch looks amazing. Later they drop this (super intrigued) and now Ninokuni2 new DLC!... Level 5 is on fire! This reminds me a lot of Tokyo Mirage Sessions with it's Shibuya setting. Hope the graphics get improved though, because it looks like an upscaled PSP game. Lol How could it be a failed game when it never saw the light of day as a released title? Yokai watch: More grown up edition!